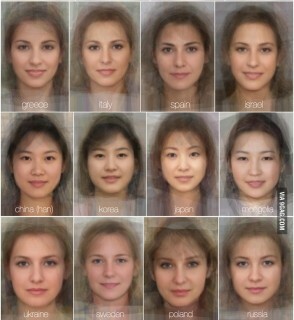 Research results of an interesting international project on femal facial expression shows “the average-face” of women of various countries in the world. Just have a look and get your own impression. And try to find your own opinion if it is another Kind of prejudice, or common view or scientific?